At first, doctors at the Mother of Mercy Hospital in Gidel didn’t know what to make of the small, buzzing airplane, swinging in wide circles through the sky. Patients looked up at it from their beds – many were outside, since the 80-bed-hospital was triple its capacity. The little aircraft was too small to be one of Sudan’s warplanes, but too big to be a toy. This was last Saturday, April 26. Another came back on Tuesday. The drones were worrying, but nobody thought much of them. For three years, people in the Nuba Mountains have lived through near-daily bombings. Houses, mosques, churches, schools, markets have all been hit. The hospital, one of the largest buildings in the area, had never been targeted. But things have changed in South Kordofan. 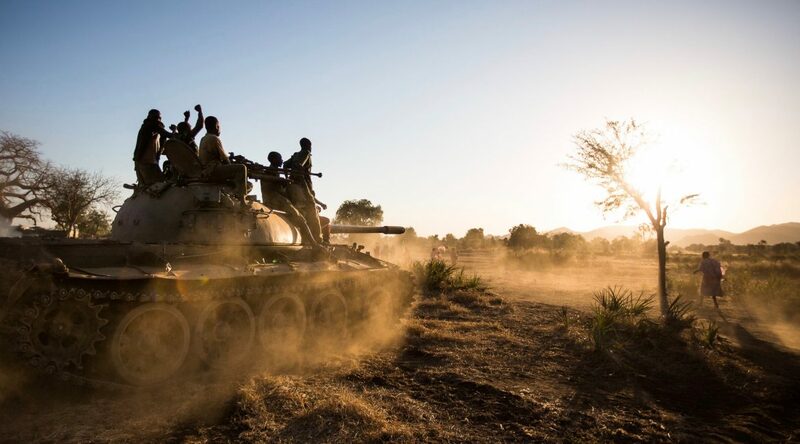 Over the past month thousands of Sudanese troops have encircled rebel-held territory, taking towns in the north as they make one last offensive push before the rainy season shuts down roads. After a failed offensive earlier this year Khartoum is now throwing everything it has at the rebels. 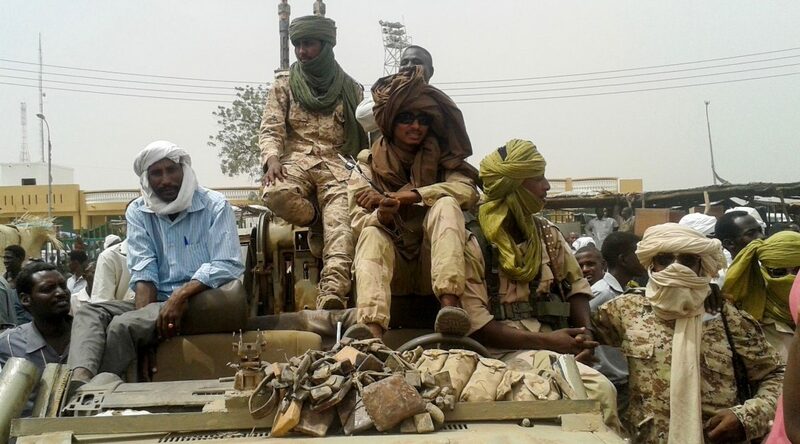 They’ve even called up Janjaweed fighters fresh from the their punitive campaigns in Darfur. 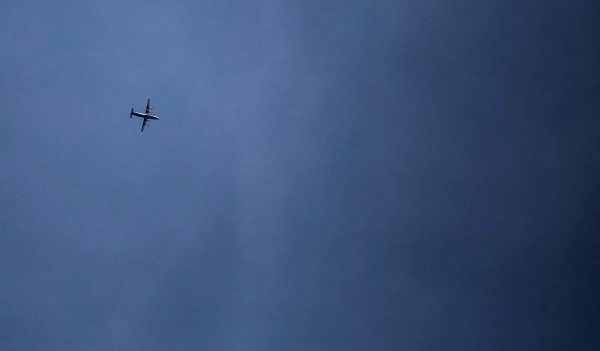 On May 1, the drone failed to appear; a Sukhoi-24 fighter jet came instead. At 10am the jet dropped 5 bombs in a straight line between the staff quarters and the hospital. Nobody was killed, but in a matter of minutes the hospital was emptied. Hundreds of patients and visitors fled into the bush, or caves in nearby mountains. Built to hold 80 patients, the hospital has been averaging around 400 in-patients since the war between the SPLA-North and the Sudanese Armed Forces (SAF) broke out in 2011. Some, like Amal Nasir, couldn’t leave. Her leg was in traction, tied to her bed. Two days before she was struck in her leg by shrapnel from SAF artillery who had been shelling towns in rebel controlled territory for weeks. She was rushed to the hospital. Her young daughter, and two other girls were killed in the attack. Amal missed the funeral. As the explosions echoed through the hallway of the hospital she broke the strap tying to her bed. “I had to drag myself out of the hospital on my hands and knees,” she said. The fighter jet flew so low Dr. Tom Catena, the hospital’s medical director could see the markings on the bottom of the plane. The bombs hit just meters away from his residence blowing the door off its hinges and shattering the windows. When they heard the jets Catena and his fellow staff leapt into one of the many foxholes dug around the compound. After years of bombing, every hut, every building, every tea stall has a small bomb shelter dug into the hard ground. The hospital is run by the Diocese of El Obeid – one of the few organizations operating in the Nuba Mountains where international relief organizations are banned by the Sudan government. Annually it treats 150,000 patients and is the only hospital facility for the Nuban people who have been cut off from the outside world and greater Sudan by their own government. The only other option is the 4-6 day walk south to the Yida refugee camp in South Sudan. But with South Sudan’s civil war inching ever closer, refugees at Yida are at risk of being caught in the crossfire. The bombing campaign in the Nuba Mountains has killed hundreds – perhaps thousands – of civilians. But the terror it has created in civilian’s lives has had even more impact. More than 100,000 people have abandoned their farms and their livelihoods. Before the bombing, the hospital was always a safe place says Dr. Tom Catena, the medical director of the hospital, but now there is nowhere safe. At 8am the following day, the unmistakable drone of an Antonov woke the patients from their hideouts in the bush. The hospital staff again dove into the foxholes as an Antanov bomber, flying high dropped eight more bombs. Antonovs are wildly inaccurate and the bombs landed on a mountain top a couple miles away, injuring an elderly man near his house. Slowly patients are returning, Amal Nasir’s leg is now back in traction. But the staff are now worried about another bombing, and unsure just how much treatment to provide given the risk. Meanwhile the Bishop worries about the Teacher’s College his diocese also runs. Just last week, another drone circled it a number of times. Later it crash-landed and was captured by the SPLA-North, but the threat of bombing continues. The hospital staff and patients are adapting says Revaug. 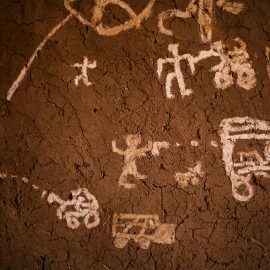 Patients leave early in the morning for the caves in nearby mountains, returning at night for their treatment. In the following days, the nurses and doctors will do ward visits in the bush, dressing wounds and distributing nutrition supplements to the malnourished. Other staff have been digging more fox holes. But some patients still feel so unsafe they are leaving. Ashim fled his home in Kadugli after the war began in 2011. Before the blast he was being treated for a broken arm. When the bombs dropped he fled with many into the hills. “I am very very afraid. I am so afraid the planes will come back, I find it difficult to stay in the hospital. We are expecting the planes to come at any time,” he explained. This morning he came in briefly to ask the nurses for his medicine. After getting what he needed, Ashim turned around and walked out the door.